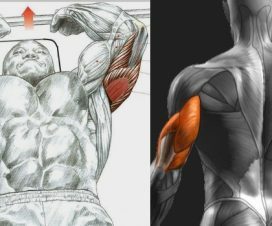 Many people are still at loss when it comes to developing the triceps long head not knowing which training approach is more efficient – lying or overhead extensions. The supporters of lying extensions maintain that by bring forward the arms in front of your body, you stretch the triceps long head, thus emphasising it. By stretching a muscle you allow it a more forceful contraction. Yet, although the lying extensions do stretch the long head to some degree, by bringing your arms over your head, you put even a greater emphasis on the stretch. 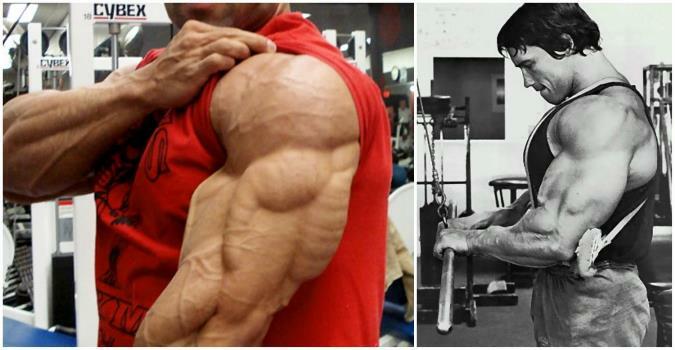 This is due to the anatomy of the triceps. Namely, the long head is not attached to the upper arm bone, but to the shoulder blade. 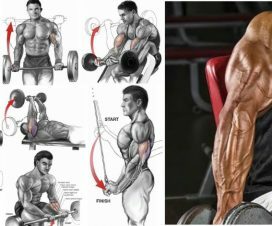 In other words, when you do overhead extensions and stretch the long head, you make it much stronger, enabling it to take most of the load when doing the exercises. As opposed, according to the researchers, the lying extensions are much more efficient for emphasizing the lateral head. 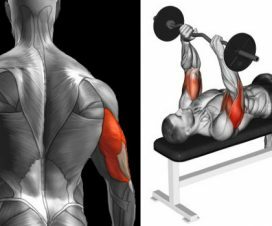 All things considered, if you want to emphasise the triceps long head adding more mass to your arms, you should include more overhead extensions in your triceps training protocol. You can start the workout with some more demanding exercises, like dumbbell or barbell overhead extensions. Doing them while still fresh will allow you to put the greatest emphasis on the long head. After this you can continue with exercises that target the lateral and medial head. After that you can throw in additional long head exercise, like cable overhead extension.